NASA’s Transiting Exoplanet Survey Satellite, better known as TESS, made an early discovery of “super-Earth” and “hot Earth” planets in solar systems at least 49 light-years away, marking the satellite’s first discovery since its April launch. 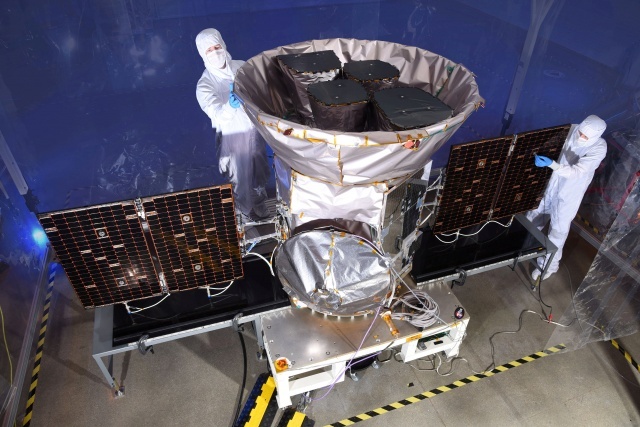 TESS is on a two-year, $337 million (254.26 million pounds) mission to expand astronomers’ known catalogue of so-called exoplanets, worlds circling distant stars. Those are believed the most likely to feature rocky surfaces or oceans and are thus considered the best candidates for life to evolve. Scientists have said they hope TESS will ultimately help catalogue at least 100 more rocky exoplanets for further study in what has become one of astronomy’s newest fields of exploration. Pi Mensae c could have a solid surface or be a waterworld as the composition of such planets is a mixed bag, Martin Spill, NASA’s programme scientist for TESS, said in a phone interview.